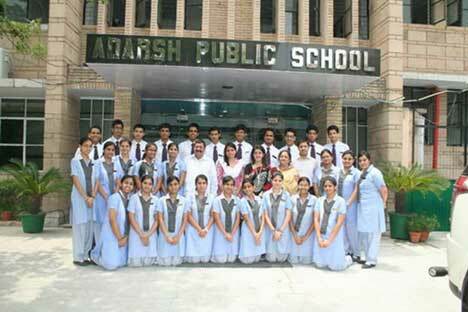 In a solemn ceremony on 20 July, 2012, members of the Student Council of Adarsh Public School took an oath to uphold the name of their school. 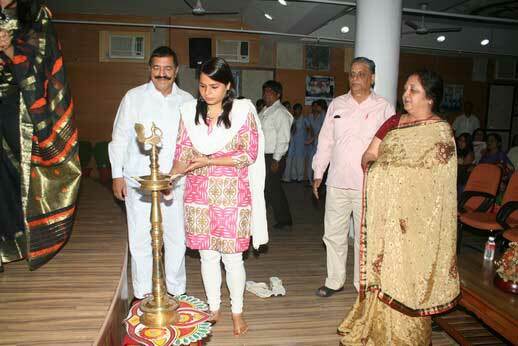 The event was graced by the presence of Ms. Amrita Dhawan, Councillor-M.C.D. & former President – D.U. Student Union, Chairman Mr PK Sahgal and Mrs Usha Sahgal, Principal of the School. 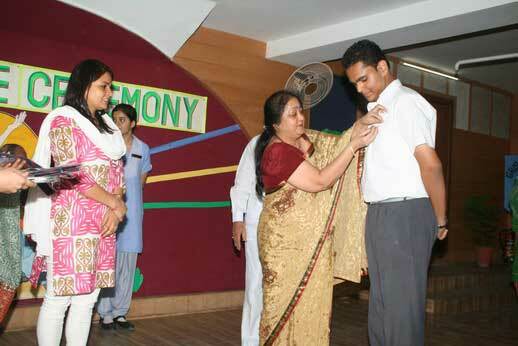 The Ceremony began with swearing in of the Head Boy, Vipul Dhall and the Head Girl, Prachi Agnihotri. This was followed by the swearing in of the Vice – Head Boy and the Vice Head Girl. This was followed by the swearing-in of the Captains and Vice Captains of the four Houses- Grisham, Sharad, Saawan and Basant. The last stage of the ceremony saw the swearing in of the 5 Coordinators. The newly inducted cabinet took the pledge to preserve the pride of the school. They committed themselves to choose the harder right, instead of the easier wrong. The Chief Guest in her address, described the school and its students as elite and declared the ceremony itself as magnificent. She inspired them to be role models for the rest of the school. 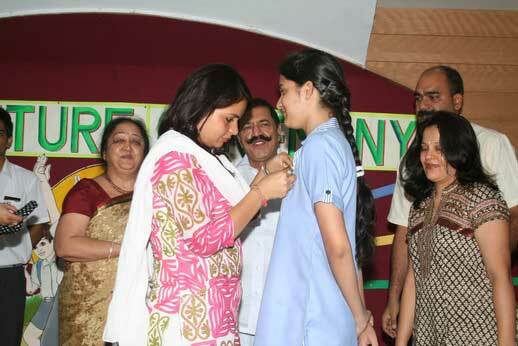 She even congratulated the parents of the newly elected students who were present in the assembly.